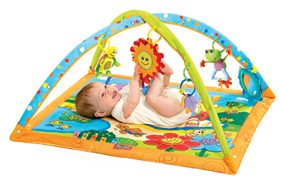 The Gymini® Sunny Day's Arches Effect is soothing for tiny babies. The crossed arches provide a closed and calming space. At around 3 months, baby will begin striking the musical sun and enjoy the entertaining sounds it makes. 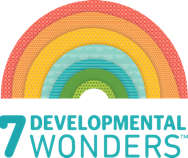 As baby lies on her tummy, she looks into the mirror and at the drawings on the mat, strengthening her shoulder muscles, thereby encouraging the development of gross motor skills. The spacious play area let’s babies stretch their bodies, experiment with movement and roll over, while the fun features stimulate and intrigue baby, thereby helping extend tummy time and strengthen shoulder and neck muscles. 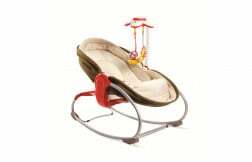 The Gymini supports the development of baby’s fine motor skills with a variety of features and stimulating activities. 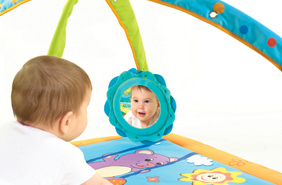 Reaching out to and batting the dangling toys, exploring the play mat’s games while on the tummy and more. The Gymini grows with babies and helps them grasp the idea of object permanence by allowing exploration of the product from various angles. 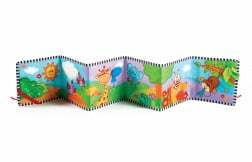 The numerous features and interactive activities help baby comprehend the idea of cause and effect.